Business students at the University of West Florida enjoy endless opportunities to expand their knowledge and experience through hands-on connections with industry partners. 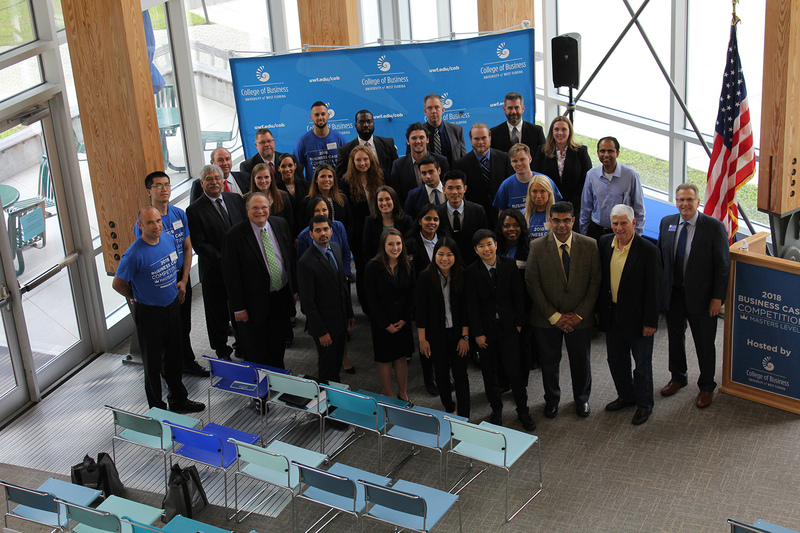 On April 13-14 2018, the UWF College of Business hosted the first UWF Business Case Competition: Masters Level, welcoming graduate students from any university with the Association to Advance Collegiate Schools of Business accreditation to compete. During a case competition, students work to articulate a company’s core competencies, while identifying revenue sources to increase shareholder value. They then develop case strategies to present to a panel of judges. At UWF’s competition, teams presented their cases to JetPay, a Texas-based NASDAQ listed financial company specializing in human resources and payroll services, for their chance at $10,000 in cash prizes. Six UWF students, Russell Bennett, Cynara Deveaux, Jack Ettelson, Renan Serafim, Fanny Starzmann and Jimmy Vuong, were responsible for bringing the case competition to the University. After competing at a case competition in Fall 2017, they collectively decided to pitch the idea to the dean for the College of Business. Ettelson, a Pensacola native, said the impact of hosting a live case analysis competition further establishes UWF as a major competitor to top-tier universities across the nation. “The invaluable amount of knowledge gained from competing in a similar environment led us to the path of bringing an experiential learning experience as such to our home institution,” Ettelson said. 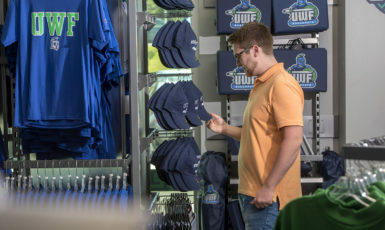 “Seeing students from UWF place above teams from other major universities solidified the fact that UWF’s emphasis on high-impact learning in the MBA program is respected and valued by business professionals in life after graduation. Originally from Sweden, Starzmann came to UWF in 2012 to pursue her bachelor’s degree. She will graduate with her MBA in May 2018. 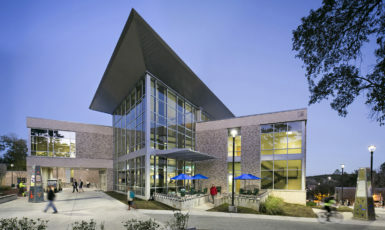 For more information about the UWF College of Business, visit uwf.edu/cob.